On the question of what’s the best and most affordable aerial video platform these days… there’s no doubt that the DJI Phantom 4 and Yuneec Typhoon H have the top spots. These two top-of-the-range drones might be a game changer because each drone promises breakthrough technology, especially in autonomy. This is a great battle and the drone that gets the job done and does it well is the drone that wins the battle. On one side there is amazingly versatile and stable hexacopter from a well-known and respected company (Yuneec). On the other side there is a compact and technology packed drone from a very popular and esteemed manufacturer (DJI). Both of these drones are truly incredible and they have a lot of similarities, such as similar camera quality, similar price tag and both have collision avoidance. However, there are some minor but important differences. These differences might be crucial and could make a big impact in your decision on which drone to purchase. Each drone comes from a leading manufacturer and DJI and Yuneec are both Chinese companies. Yuneec was founded in 1999 in Hong Kong and this company garnered buzz last year when Intel invested $60,000,000 in it. Yuneec developed manned and unmanned crafts and the Typhoon is their best-selling series of drone. DJI (Dà-Jiāng Innovations) was founded in 2006 by Frank Wang and dominates the consumer drone market. DJI built at least four major series of drones. However, this company is best-known for its affordable Phantom series. Both companies are into building RC machines and know what they’re doing so technically both drones can be named top quality. Typhoon H is compelling through the hexacopter design and the aggressive shape and appears to look like a professional tool. The 6 arms provide redundancy in case a motor or propeller goes out. This feature allows you to fly back to safety with just 5 propellers. The build for the Typhoon H is pretty sturdy and the arms are made out of carbon fiber. The folding joints for the arms are solid enough and they’re definitely not cheaply made although they are from plastic. The retractable landing gear is a real eye catcher and airframe has a new (large) intelligent designed. The Typhoon H is big but quite compact to travel with because each of the arms folds down. This drone also allows you to flick a switch that lifts the legs up. The legs lifting guarantees you won’t see them in your shot and allows your drone to get a full, 360 camera angle. 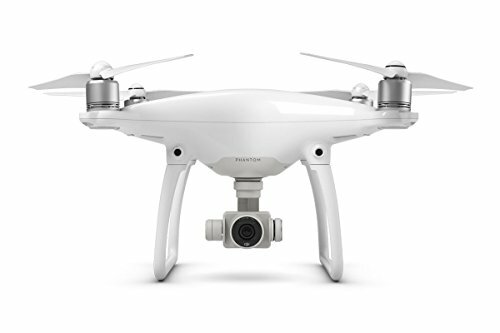 With its white body and rounded edges the Phantom 4 remains true to its traditional “look”. Only when taking a look at the new glossy shell and the internal gimbal significant differences to the predecessor become visible. The shell design is pretty strong and the drone just feels sturdy. Also, the inside shell is made from magnesium alloy. The Phantom 4 is light and looks stylish, young, and portable. The drone is also easy to transport due to auto-locking and removable propellers. As far as propellers go, both the Phantom 4 and Typhoon H have quick release propellers that are completely safe. The quick release propellers are propellers that you don’t have to screw to install and easily snap on and off. You can use the same box the Phantom 4 came in as your carrying case because it has a metal latch that seals it shut. It’s Styrofoam and it’s perfect for carrying around on film shoots or to the beach for the family picnic. However, it may not be safe to check into the airport. You will be able to use it for a couple of months before eventually getting the DJI backpack. The Typhoon H case is great for storage. But the problem is that it has a flimsy lid and no handle so it’s not suitable if you need to walk a long distance with it. There are also large holes in the bottom of the case. That’s why it is useless for carrying smaller parts like props or tools. Both manufacturers work closely together with the authorities so both drones offer plenty safety features. Yuneec pays more attention to airspace safety in general while DJI focuses more on in-air safety. An anti-collision system is definitely the main new safety feature on both drones. Both these drones are listed under the same category. However, they were designed for different flight situations and they function completely differently. The Phantom 4 smart avoidance and detection technology is amazing. It functions through two cameras that are installed into the legs that can optically detect distance from certain objects and even recognize the object and follow it. These cameras have field of view of 30º horizontal and 60º vertical and can note obstacles in a maximum distance of 15m (50 feet). This means that it can hit the brakes pretty early. The big disadvantage is that the cameras are useless in the dark and they can function only during daytime. This technology works great if you don’t plan on flying backwards too much. The Phantom 4 also comes with a special extension – the Vision Positioning System. . Both, sonar and camera improve the indoor and low level flying steadiness. The manufacturer also applied several major changes to the inside of the Phantom 4, such as the second IMU unit and second compass. In case of a system failure they will take control over a drone, which will result in fewer flyaways and compass errors. These changes might sound small. However, can easily save you a lot of money and give pilot more confidence. Yuneec offers a different system and the technology is so new and no one else on the market has anything like it. The new Typhoon H features sonar sensors (“Ultrasonic Proximity Sensors”) instead of using normal cameras and a great thing about those sensors is that you can use them at night and during day. The big disadvantage is that the sensors see close and large objects only, at a range of about 1.5 meters (around 5 feet). This means that when you fly your drone at normal speed there’s not even a small chance that the system hits the brakes early enough. Yuneec’s Anti-Collision system is completely useless outdoors and it can be only used during indoor flights. It is important to note that the Typhoon H has more to offer. The real sense 360 degree collision avoidance technology can be bought as an add-on. You have to pay additional money for it but many users are excited for it. You have to take out $1,940 out of your pocket if you want to purchase the whole amazing package. We all know that the loss of connection during flight is a very common error. This could be an ongoing problem with the Typhoon H due to its shorter range. However, this shouldn’t worry you because the return-to-home function will take over the control over a drone once the connection fails and bring the drone back home safely. The Typhoon H also delivers another amazing feature. The two extra propellers of the Typhoon H are extremely useful because the five left-over props can ground the drone safely should there ever be a propeller error in flight. When it comes to rotating the camera, the retractable landing gear of the Typhoon H is indispensable. However, this feature makes the flying and landing somewhat unsafe. 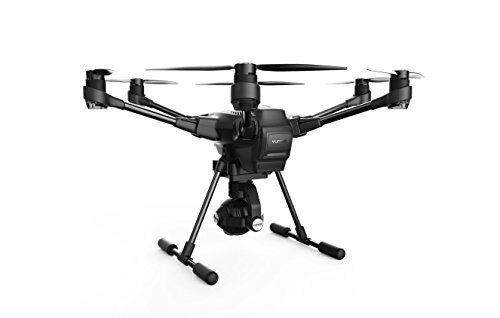 Both drones are intended for professional aerial photographers and feature non-detachable 4K, 12 MP cameras connected to three-axis gimbals. 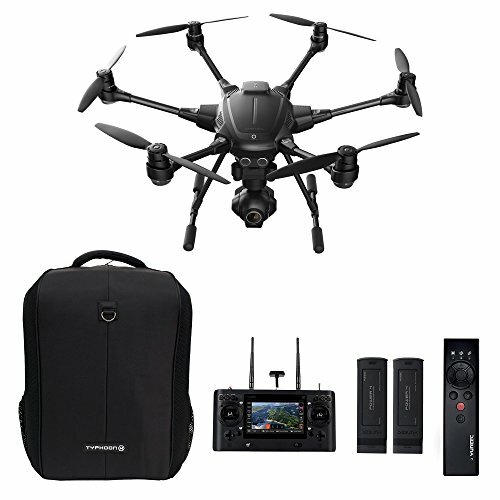 Both offer a maximum frame rate of 30 frames per second to deliver crisp and clear aerial footage. You also get basic camera controls, such as shutter speed, white balance and ISO on both these drones. You can also create slowmo shots at a maximum frame rate of 120 frames per second when filming in full HD. The video quality of both drones is great. The Phantom 4 creates a narrower image (20mm with a 94° field of view). On the other hand the lens on the Yuneec Typhoon H has a wider GoPro style field-of-view (14mm with a 115° field of view). Cinematographers choose higher focal lengths while action junkies traditionally choose the super wide angle. Also, it is important to note that the DJI Phantom 4 has a fixed camera while the Typhoon H can rotate 360 degrees. The DJI Phantom 4 takes video controls seriously. The drone gives you features such as a real LOG color profile for more flexibility when color grading and an over exposure warning setting (zebras), sharpness and saturation adjustments, a histogram, visual grids and guides for better shot framing. Both of these drones have great flight time. The Phantom 4 is equipped with a 4 cell 5350 mAh Li-Po battery that has a flight time of about 28 minutes. The battery on this drone seems like a smarter design and the fact it only has 4 rotors helps a lot with the flight time. The batteries on the Typhoon H are not bad and they are around $40 cheaper. The Typhoon H comes with a powerful 14.8V 5400mAh Li-Po 4S that has a flight time of about 25 minutes. Another amazing thing about the Typhoon H battery is the way it latches into the drone and it seems like they require a lot less force to get in and out compared to the Phantom 4. The main disadvantage about this battery is the fact that there’s no onboard charging unit and battery life indicator like on the Phantom 4. Not being able to see how much power is left in each battery without putting it in the drone may be a big problem for many users. Also, the charge time is much slower compared to the Phantom 4. It’s very difficult to compare the remote controllers for the two of these drones because they are so different. The Phantom 4 remote controller looks very similar to the previous versions. However, it has some unique features that are worth being mentioned, such as the Sport Mode that allows users to go to 45 mph, the TapFly Mode that allows you to fly to a specific location in 3D space, the Smart Mode that allows you to easily keep doing circles around a fast moving object without the need of 2 pilots and the DJI Active Track Mode that allows you to select a specific object or area in the DJI Go app and let the drone follow it by itself. You get a nice and simple remote with only the essentials with the Phantom 4. You get all the buttons you need for adjusting the camera exposure, capturing photos and shooting videos. You also get a gimbal tilt wheel that works amazingly. You will need a mobile device to operate the Phantom 4. DJI’s app to operate the drones is very good and any decently fast mobile device will work, so it doesn’t matter if it is a tablet or a Smartphone, Android or iOS. The DJI Phantom 4 can’t fly as far as its predecessors anymore. However, it still hits the 5000 meters (16404 feet) easily. The Yuneec ST16 controller is stunning and has a more integrated approach to the design. It looks has a better feel and looks more professional than the one on the Phantom 4. The controller has a 7-inch monitor inside, which prevents needing to rely on an external device to fly your drone. It also prevents having to worry about your phone being charged and having a cable in your way. Another great thing about this controller is that fact that you can also connect a second remote controller. This means that one person controls the flight while the other controls the camera. The Yuneec Typhoon H transmitter features a full sized HDMI out port. This feature is very useful because if you want to see the image on a larger external screen, you can do that live, directly from the HDMI port. The Typhoon H controller has a nice big screen in the middle, which acts as a mobile device running Android. It also has switches and buttons everywhere. The main disadvantage is that the manufacturer put the landing gear and motor start buttons on the backside of the controller where it’s difficult to reach. The Typhoon H has a maximum range of 1600 meters (5249 feet). can reach a maximum speed of 35 km/h (22 mph), which is well below the Phantom 4 maximum speed of 72 km/h (45 mph). Thanks to the Phantom 4 Sport Mode and tailwinds some experienced pilots have pushed the Phantom 4 maximum speed past 96 km/h (60 mph). The Typhoon H also seems to change direction slower, especially when going fast and turning. Both drones feature several intelligent flight modes. features Home Lock Mode, Course Lock Mode that allows you to rotate the drone in flight without the trouble of changing the directions, Point of Interest Mode that allows the drone to automatically circle around objects, Waypoints Mode, TapFly Mode that taps at a target and the drone flies there automatically, ActiveTrack Mode that allows the drone to follow a selected target without further need of any signal by camera related motion tracking and Follow-Me Mode that allows the drone to follow the signal of the RC + mobile device. The Typhoon H features Follow Me Mode that allows the drone to follow the operator, Orbit-Me Mode that allows the drone to circle around the pilot, Curve Cable Cam, Journey Mode and Point of Interest Mode that allows the drone to automatically circle around objects. With these intelligent flight modes Yuneec focuses more on the hobbyist while DJI offers rather professional functions for filmmakers. Both these drones are amazing. It’s really exciting to see how drones have become not only easy but safe to fly. It’s very difficult to recommend one over another in a blanket statement. Both these drones are excellent products and it all comes down to what your needs are. 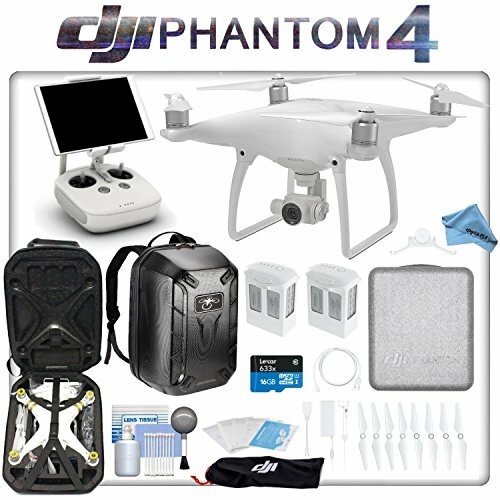 If you want something easy to transport in a more day-to-day sense then I would recommend the Phantom 4. It comes with very light carrying case that is no larger than a large tote bag. On the other hand, if you want fly in a high-risk area in order to capture professional video footage then I would recommend the Typhoon H. The ability to record 360° video, ease of connecting the remote controller and propeller redundancy will definitely make you feel much more confident while flying.